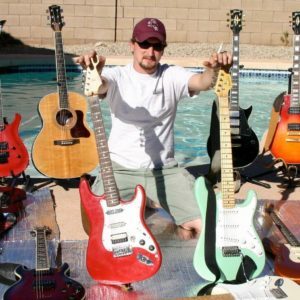 Kyle O’Hare has been working in the internet development trade for over 18 years and is also the owner of ValveFX , a boutique electronics and engineering group that makes electric guitar related equipment. 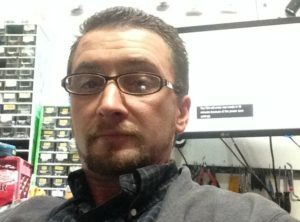 Kyle is also one of the founding members of UnBoxedIt ; an internet review company as well as one of the original logo and website designers for Turin Networks, later sold to a large fortune 500 corporation and a great financial success. Kyle has also donated his time and efforts to non profit organizations such as the National Eye Foundation and the Coeur d’Alene Symphony orchestra. Helping non profit organizations and environmental causes are important to Kyle in his career and personal life. Every year Kyle donates 25% of his income to charitable organizations and non profits. With a broad knowledge of graphics design, internet marketing and SEO, E-Commerce, PHP, WordPress, Drupal and Joomla — Kyle O’Hare is the perfect “swiss army knife” for your small business or organization to achieve and visualize the most effective internet business strategy. Kyle lives in a lovely tree lined golf community called Morgan Creek, in Roseville CA. He has two dogs, Kevin a yellow lab and Cody an old 15 year pit bull mix. Kyle enjoys playing music, reading non fiction and working on classic and rare foreign cars. As a member of both Land Rover clubs, Jaguar clubs, and Mercedes Benz clubs over the years – he has always had an avid interest in vehicles and automotive history. Kyle also enjoys fine art, red wine and his collection of custom guitars and tube amplifiers. “Kyle has worked for us in a creative as well as support capacity for the last 6 years and has been a tremendous asset to our organization.” – Bill C.
“Kyle O’Hare is one of the best in the industry. His skills are top notch and he makes our business look great. ” – Karen T.